Three years into the presidency of the “moderate” Hassan Rouhani, it can be said without hesitation that the human rights record in Iran is continuing to deteriorate. Just look at the sheer number of reports on rights violations which have appeared in the English-language media in recent weeks. The mounting reports tell gruesome tales of arbitrary jailings, arrests, deportations, forced confessions, hangings, and the continued persecution of women, minorities, dual citizens and more. The fate of San Diego native Robin Shahini, thought to have been detained by the Iranian authorities for his online criticism of the Islamic republic’s rights record, is still unclear; and as for 65-year-old Canadian academic Homa Hoodfar, she is still languishing in prison, with Amnesty International suspecting Iran may be denying medical care to her and other prisoners like her in order to force confessions. While some outlets have speculated that these arrests are politically-motivated and meant to undermine Rouhani’s efforts at outreach with the West, such speculations belie the scale and severity of the rights violations perpetrated by the Rouhani regime, which have far exceeded those of previous Iranian administrations. Some recent examples? The hanging of 18 people, including one woman, in the space of two days. Or the deportation of 80 Afghanis for dancing at an Eid al-Fitr celebration (which has not prevented Iran from deploying Afghanis to fight in Syria on its behalf, while forging new ties with the Taliban). Or the demolition of yet another Baha’i cemetery in Iranian Kurdistan. 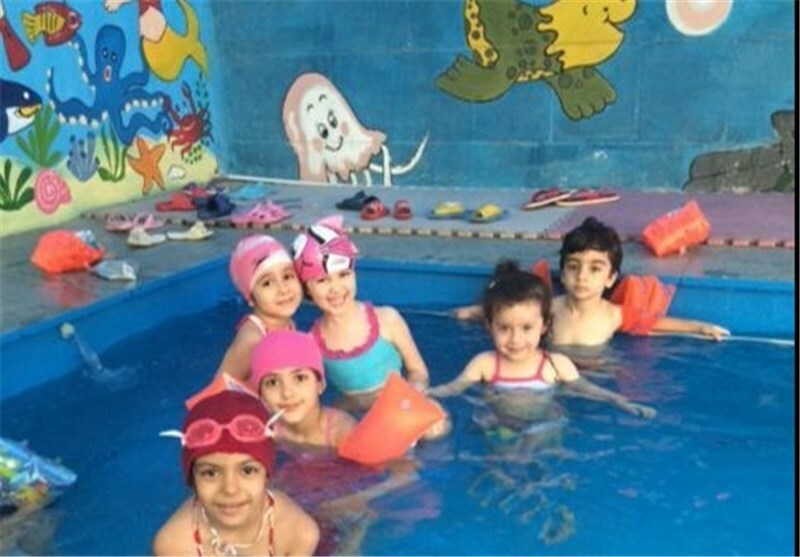 And what is worse, even children cannot escape the reach of the long arms of the Iranian authorities and morality police: a kindergarten in Tehran was recently shut down over its mixed-gender swimming pool after pictures of the wading tots were published by the hardline Tasnim News Agency. As Iran’s blatant rights violations have grown harder and harder to ignore, Western officials – including Belgian lawmakers and former European Commissioners – have issued statements calling for conditioning improved relations (business and otherwise) with Iran, whose current image was said to be that of a “horrific […] planned state killing machine,” on an improvement in the area of human rights. However, these calls were echoed by few major news outlets, being carried mostly by Iran-centric sites.